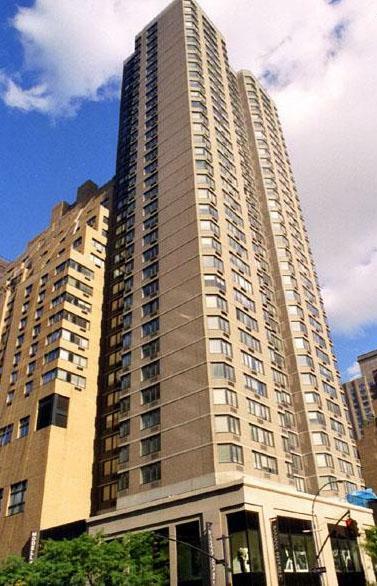 The Upper East Side's Colorado, an attractive, beige-and-dark-brown-brick, 35-story apartment tower at 201 East 86th Street was erected in 1987. It dominates a very prominent corner in Yorkville, bestowing considerable light and air -- two of the three other corners at this intersection are low-rises, and the third is set back in a plaza. The Colorado has a stainless-steel entrance marquee, 24-hour concierge and doorman, 24-hour emergency maintenance, roof deck with landscaped gardens, two-story limestone base, a residents' website, on-site laundry, and extensive retail spaces. Individual units, which come in eight unique floor plans, feature hardwood floors and winning views of either the East River or Central Park. It has many corner windows, excellent local shopping, and easy public transportation. 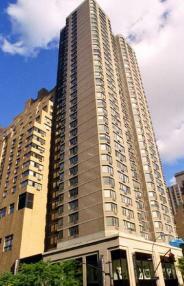 It's close to the private schools and cultural and religious institutions of Carnegie Hill. There are diverse memorable cafes, food stores, and movie theaters in the vicinity, plus a post office and fire engine company. The high-rise is conveniently located one block from the Lexington Avenue subway line with easy access to other New York regional transit options. I would like information on apartments in The Colorado. Please contact me ASAP.